The Bureau of Labor Statistics reported that the economy added 215,000 nonfarm payrolls in March, beating market expectations. The private sector hired 195,000 workers. 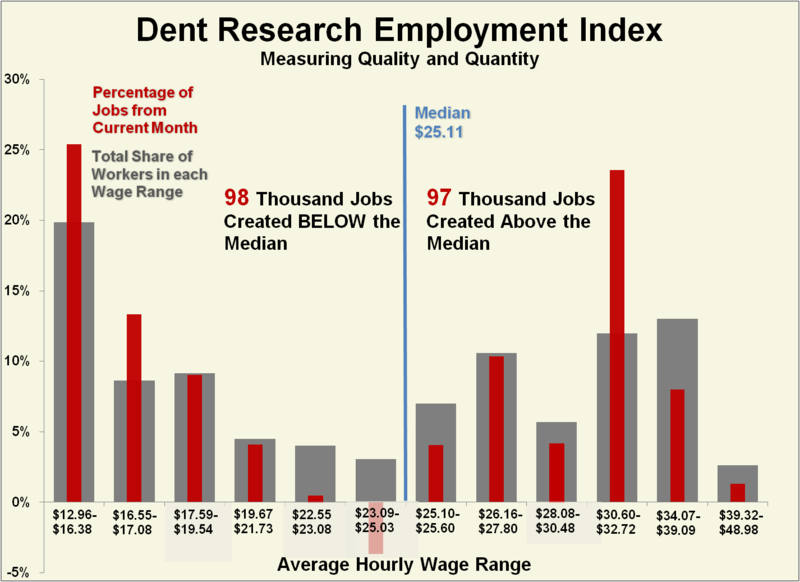 While the economy continues to add jobs at a steady clip, analysis by Dent Research uncovers more evidence of middle-earning workers getting pushed out of the labor market. The so-called “U-shaped” recovery in jobs was evident in March. 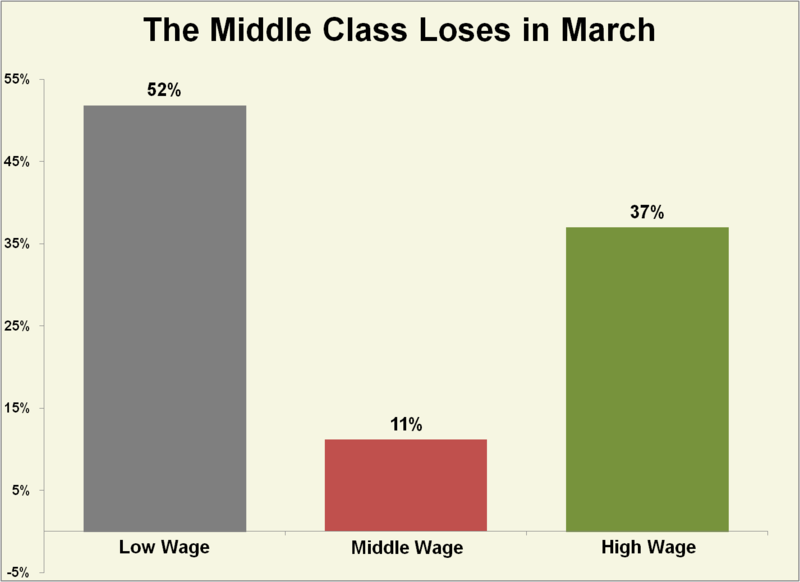 Our quality analysis finds that only 11% of jobs went to the industries that pay a middle-class wage. A majority of hires (52%) went to the lowest-paying third of workplaces. Unsurprisingly, a small majority (51%) of workers added fell below the measured median wage. Of 84 major industries, ambulatory health care services saw the biggest gain of the month, with over 27,000 additions. This broad sector pays its workers well, with an average hourly wage of nearly $31. But those additions were nearly offset by bars and restaurants (+24,800), which pay an average of just $13.17 per hour. Bars and restaurants fall into the lowest pay of our 12 wage buckets. Over 25% of all new jobs fell into this group.